I love craft projects that make use of found objects and up-cycled materials. 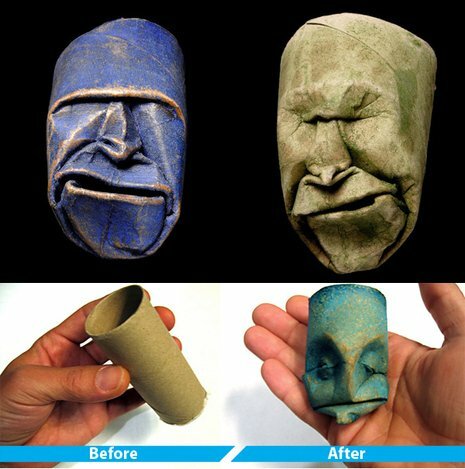 Check out these sculptures made out of old TP rolls! Don’t their faces remind you of a very old man? This entry was tagged Junior Jacquet, toilet paper art, upcycled art.